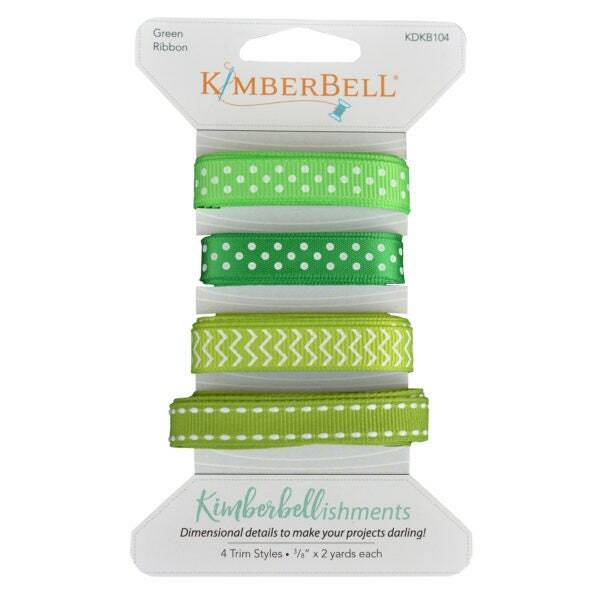 The “Green” ribbon card contains 4 Trim Styles: 3/8″ x 2 yards each. Enjoy Kimberbellishments…dimensional details to make your projects darling! Perfect. So happy to have found this. Thanks for the great service.